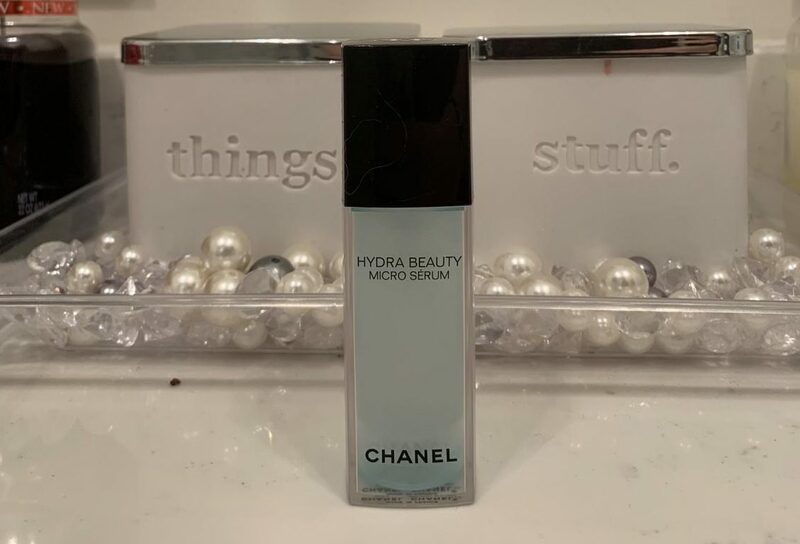 The Chanel Hydra Beauty Serum is a serum for all skin types. One of the most powerful ingredients in the serum is Camellia Alba PFA. The serum is meant to be for all skin types and to help boost moisture and protection of the skin. It currently retails between $110.00 and $135.00. I have sensitive combination skin. A little bit of the serum goes a long way so the price is somewhat justified because of the longevity. It keeps the skin hydrated without feeling greasy or breaking out the skin. It feels silky smooth and has a nice floral scent that smells like a spa. It does not have a sticky texture and gets absorbed into the skin quickly. With my skin I have noticed it has become more balanced. My skin has been more regulated and stopped breaking out. It has a sister product that is a more heavy duty creme to layer on top of the serum. The serum packs more of its special ingredients into one drop making it a little more effective than the other products. I recommend getting both products for dry skin but only the serum for normal to oily skin. The bottle is durable and is made out of thick plastic compared to glass. The pump pushed from the bottom up making sure no serum is left behind. An expert claimed the use of alcohol in the product would not make it hydrating but the exact opposite reaction. In my personal experience it does hydrate the skin and many other customers agree. The fragrance can irritate some skin types and might be overwhelming. The use of alcohol in the product is great for oily skin because it can help regulate the oil in the skin. People with more mature skin tend to enjoy the product more than people who are younger. It is not a lightweight oil but it absorbs rather quickly for a serum. It should be given time to absorb before wearing makeup because it can make facial products more shiny.